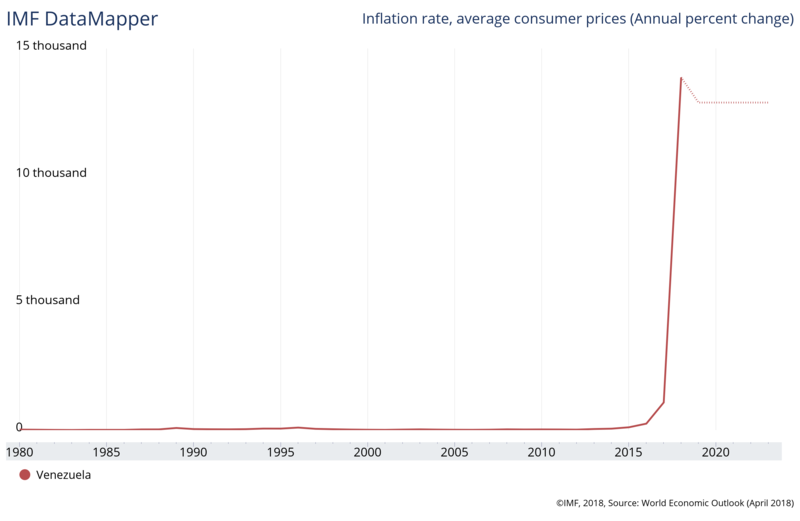 Inflation is forecast to hit 1 million percent this year. 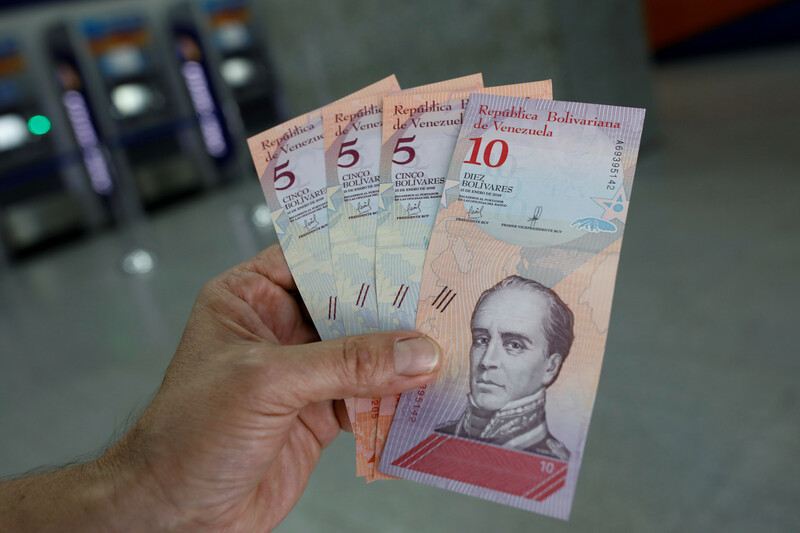 Venezuela on Monday slashed five zeros from prices as part of a broad economic plan that President Nicolas Maduro says will tame hyperinflation but critics call another raft of failed socialist policies that will push the chaotic country deeper into crisis. Streets were quiet and shops were closed due to a national holiday that Maduro decreed for the first day of the new pricing plan for the stricken economy, which the International Monetary Fund has estimated will have 1 million percent inflation by year end. The price change comes with a 3,000 percent minimum wage hike, tax increases meant to shore up state coffers and a plan to peg salaries, prices and the country’s exchange rate to the petro, an elusive state-backed cryptocurrency. Economists say the plan, which was announced last Friday, is likely to escalate the crisis facing the once-booming nation that is now suffering from Soviet-style product shortages and a mass exodus of citizens fleeing for other South American countries. Venezuelans were skeptical the plan will turn the economy around. “I can’t find a cash machine because all the banks are closed today,” said Jose Moreno, 71, a retired engineer in the central city of Valencia, complaining of chronically dysfunctional public services. After a decade-long oil bonanza that spawned a consumption boom in the OPEC member, many citizens are now reduced to scouring through garbage to find food as monthly salaries currently amount to a few U.S. dollars a month. The new measures have worried shopkeepers already struggling to stay afloat due to hyperinflation, government-set prices for goods ranging from flour to diapers, and strict currency controls that crimp imports. Though Maduro announced this month that the government would hike Venezuela’s heavily subsidized gasoline to international levels, drivers on Monday continued to fuel up at the same prices as last week. The only notable difference at service stations was that trash cans were filled with old 100-bolivar notes, which are no longer accepted legal tender, that drivers had tossed. The old notes in denominations of 1,000 and above will continue to circulate alongside the new bills for an undetermined period of time. At Monday’s exchange rate, the equivalent of $0.01 buys 4,233 gallons of gasoline, with one bar of hand soap selling for the same as 152,381 gallons of fuel, according to Reuters calculations. The bolivar traded on the opaque black market on Monday at around 96 bolivars to the dollar, a rate reflecting the monetary overhaul and which implies a depreciation in real terms of nearly 30 percent since last week. The rate may not be representative of the overall market because trading volumes were thin due to the public holiday, industry experts said. Growing discontent with Maduro has spread to the military as soldiers struggle to get enough food and many desert by leaving the country, along with thousands of civilians. Two high-ranking military officers were arrested this month for their alleged involvement in drone explosions during a speech by Maduro, who has described it as an assassination attempt. The chaos has become an increasing concern for the region. In recent days, Ecuador and Peru have tightened visa requirements for Venezuelans, and violence drove hundreds of Venezuelan migrants back across the border with Brazil on Saturday.